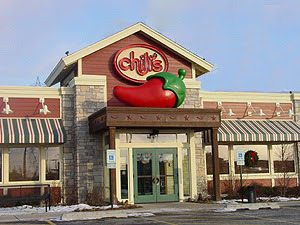 With a pleasant lively atmosphere, Chili's has been a favorite restaurant of ours since DH and I were in college. We have had so many pleasant visits to Chili's, so we were excited to check out their new Wild or Mild menu with the kiddo's and some other family member's! We were greeted as usual with a very friendly waitress who promptly supplied the kiddo's with some crayon's and coloring sheets, then took our drink and appetizer order's ( we settled on two orders of the Bacon Ranch Chicken Quesadilla's for the table to share (pictured above). The Bacon Ranch Quesadilla's (a "mild" choice on the menu) were absolutely delicious (served with lettuce, tomato, and sour cream on the side), and were a HUGE hit with everyone at the table (including the kid's who tend to be a bit picky)! We all chose something different for our entrees (B and the princess went with the Chicken finger's and fries)...I settled on the Barbecue Chicken Salad (pictured below), which was equally delicious! 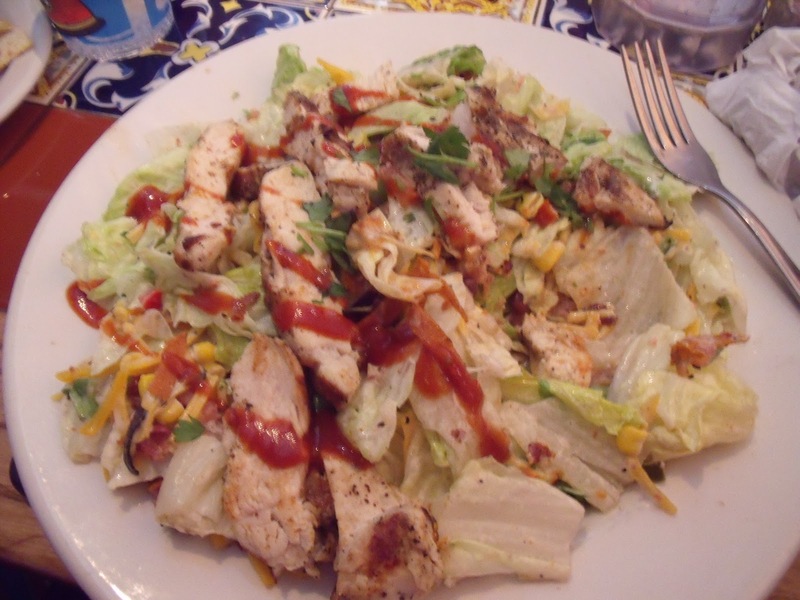 The salad is tossed lightly in dressing, with veggies and topped with grilled barbecue chicken......the salad is then drizzled with Barbecue sauce.....seriously good stuff! Dh went with the Classic Bacon Burger (Pictured below) and loved it! No, I really mean it..... he LOVED IT! 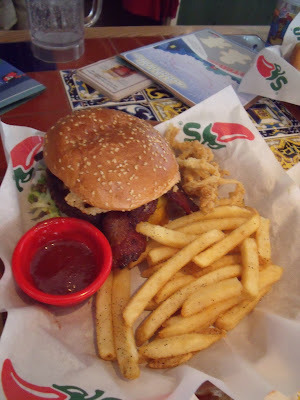 The man is serious about food, and says that Chili's makes the best Bacon Cheeseburger that he's ever had! We all had a fabulous time! 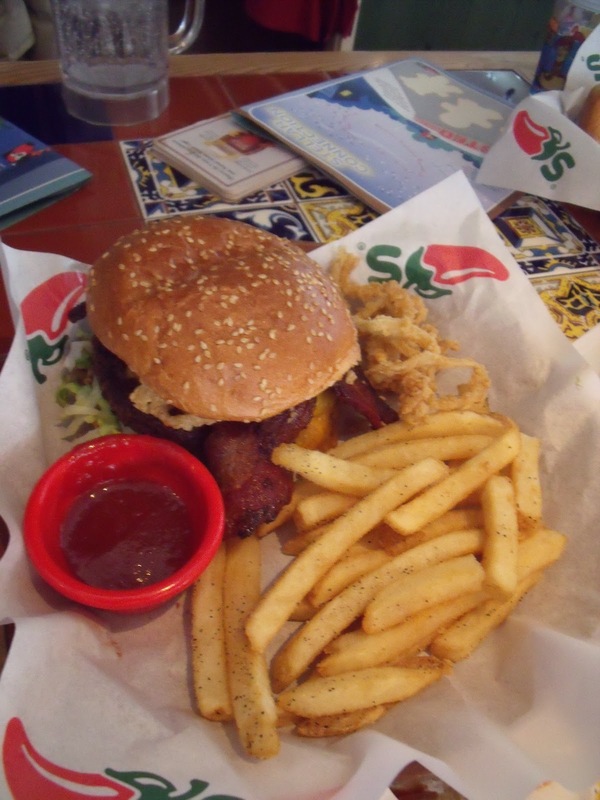 Spending time with family at Chili's is always fun, and always good idea! 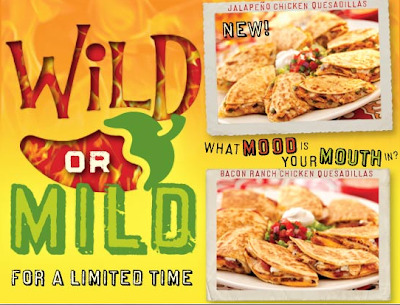 Check out Chili's "Shout out to Eat Out - Wild or Mild" Contest! To enter visit www.shoutouttoeatout.com ; participants upload a head shot of themselves and create a wild or mild avatar. Prizes Include: One (1) winner will be randomly drawn every day and will received one (1) $20 Chili’s gift card. The most voted avatar will win the grand prize which will be a “Wild” (Las Vegas) or “Mild” (Disney World) trip for four!